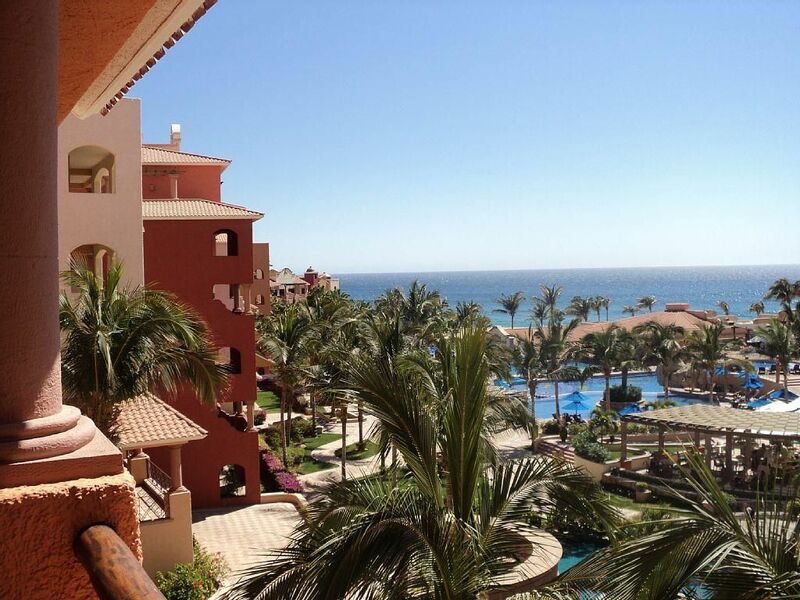 Renting our 1-week timeshare in beautiful Cabo San Lucas from FEBRUARY 10th-17th 2019 (7 night stay). We have enjoyed this week in February very much over the years and sadly cannot make it down in 2019. Our unit is #1206 on the third floor, close to the pools with an ocean view. Playa Grande is listed by RCI as a Five Star Gold Crown Resort. It is located on Playa Solmar, a private beach on the Pacific Ocean at Lands End of Baja California. The resort is constructed in the beautiful Mexican hacienda style, and is truly a world class luxury resort designed especially for you to relax and enjoy your dream vacation. Playa Grande is quiet and very private, perfect for families with children or those looking for a relaxing vacation- no vendors are permitted on the beach or in the Resort. Playa Grande Resort mostly owner-occupied, so it is much more tranquil than other resorts in the area. It is a five minute walk to downtown Cabo San Lucas for extensive shopping, restaurants, nightlife and sightseeing. You will also be able to walk to the grocery store in town for any grocery needs! The most discriminating vacationer will appreciate this finely appointed luxury suite with a huge balcony offering spectacular views of the Pacific Ocean and pools. A private master bedroom features a king-size bed, luxurious private bath and it’s own TV. There is a queen-size sleeper sofa in the living room along with a single murphy bed with another TV, and a second beautifully tiled full bath. There is also a dining room and fully equipped modern kitchen with everything you may need. Additional Suite Amenities: Air Conditioning, Purified Water System, Satellite TV’s, telephones, closet safe, fully equipped kitchen with a full size refrigerator, stove, microwave, coffee maker and all the necessary accessories and utensils. Both bathrooms have hair dryers and linens are provided daily with Maid Service. Activities (on site): Two restaurants, one is a world class restaurant and lounge with room service, three bars, a small shop, an office centre with computers, full Spa and Salon, a Fitness Centre, tennis courts, five swimming pools with waterfalls, children s areas and swim up bars, two hot tubs, a challenging eighteen hole putting golf course (you have to see to believe), hiking, rock climbing and whale watching assures plenty of activities to choose from. Shops, a convenience store, laundry facilities and car rentals are also available on site. Wireless internet is available in all common areas of the resort. Activities (off site but nearby): Fishing (there is a large fleet of sport fishing boats at the marina which is a five minute walk from the Resort). Championship Golf Courses, (several world-class eighteen hole golf courses are close by). Horseback Riding, Snorkelling/Diving, Boating, Sailing, Surfing, Wind-surfing, Parasailing, Jet Skiing, Biking, Shopping, Restaurants and Sightseeing. All you need is your bathing suit! *Please note the beach directly in front of Playa Grande is not swimmable but nearby beaches are very accessible.